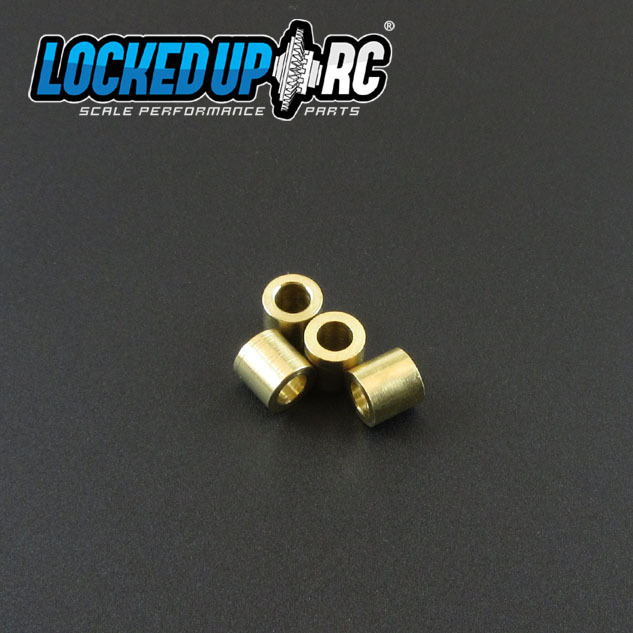 These brass bushings offer a thicker body and slightly smaller inner diameter compared to stock Traxxas parts (8232). These features minimize play between your CHub and Knuckle for both new and old parts. This also means that they will be an extremely tight fit and may require some break in for smooth functioning. So, ensure you have enough movement in each knuckle before reattaching to your servo. If not, you will want to work each knuckle back and forth until it moves freely.